A Narcissist clearly crosses the boundaries of defying another person’s human rights and dignity, so much so it is clearly classified as psychological/emotional abuse and domestic violence. They tear down a person’s psychological well-being in such an insidious/sadistic manner that the target becomes completely vulnerable, unprotected and fearful. A Narcissist is completely pathological in every single aspect of how they relate to the people and the world around them. Unfortunately their world is completely delusional, one in which they do not allow individuality because they are absolute rulers (dictators) in that world. The unfortunate fact is that a Narcissist needs people in their lives to SURVIVE but they just don’t ‘like’ or ‘relate’ to people so it is a hideous, demeaning, debasing, ANGRY, and abusive coexistence that we get conned and TRAPPED into. Gradually, the target/victim will NOT trust their own perceptions and doubt themselves completely. This more than often also induces depression and anxiety – two separate issues that will have to be dealt with as well as the ‘other’ consequences of this hideous abuse. The target/victim is totally broken and unable to trust their own perceptions in life (the ones we take for granted as just knowing what to do in life, etc.,) so they isolate themselves because life is just too confusing and they fear it. The victim now doubts everything about themselves, their thoughts and opinions, their ideas and ideals. Ask yourself here and now if you are experiencing this, maybe it is a feeling of hopelessness, fear, confusion, or just an abnormal sense of life, one where you feel very alone and without a real objective to change or fix this or moving forward. Targets/victims will become co-dependent on the abuser for their reality and the Narcissist loves this because that is their goal – TOTAL CONTROL of your thoughts and actions and they are at the steering wheel driving this abuse full forward. Who does this but a highly disordered human being with a dark agenda? 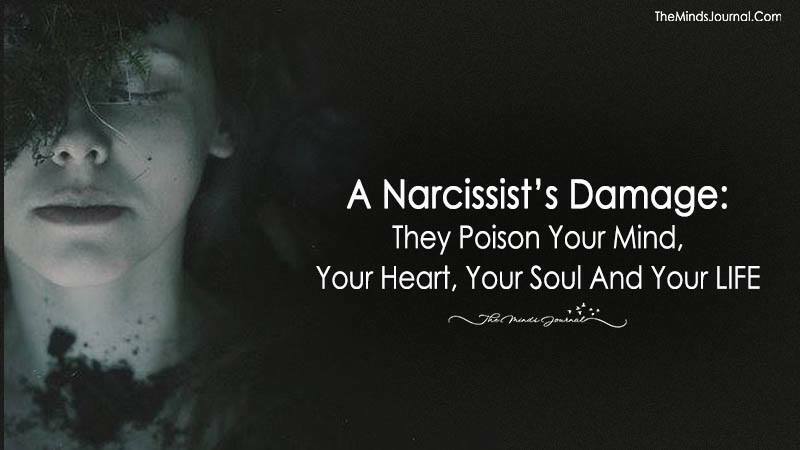 Who could take, steal away or destroy any portion of another person’s life for any reason yet alone the agenda of a highly disordered Narcissist that is basically driven by their own hate AND an extortionist as well that wants everything they can take from another human being. Tammy Mariposa here’s something of interest. Hope this is helpful. Thanks alot for this article. I just wish I had found it sooner. Its been 3 years since I broke up with such a poisonous relationship and still I am not completely over it. I still hear his voice in my head , breaking my confidence. Ive been completely lost and now I’m regaining myself through rigorous therapy. I empathize with those who had to live with or come across such people in their lives. I wish you’d be able recover and regain yourself after everything you’ve gone through.